For all its potential as a canvas for the display of human suffering, sick-lit never quite made it as a genre. In her 1926 essay On Being Ill, Virginia Woolf expressed dismay at the near-universal denial to give sickness its literary due alongside love, jealousy, and battle. “But no, literature does its best to maintain that its concern is with the mind; that the body is a sheet of plain glass through which the soul looks straight and clear.” Writing just seven years after the flu pandemic of 1918, which claimed fifty to hundred million lives worldwide, Mrs Woolf wondered why no novelist had dared explore the “wastes and deserts of the soul” brought to light during an attack of influenza. Mrs Woolf need not have worried. By the time On Being Ill was published in Criterion – the literary magazine put out by British poet, dramatist, and essayist TS Eliot – critics and readers alike in Germany had already begun to heap lavish praise on Der Zauberberg. The much-anticipated latest work of Thomas Mann – at the time the country’s greatest living writer – was almost universally hailed as a tour de force for accomplishing the seemingly impossible by being both a bildungsroman – a coming-of-age story or comedy of manners – and an ingenious parody of the then-popular genre. Published in late 1924, Mann’s masterpiece took no less than five years to reach the English language. It did so as The Magic Mountain  in a translation by Helen Tracy Lowe-Porter that over the years accumulated perhaps more than its fair share of critics. The 1996 translation of the book by John Edwin Woods seems to attract markedly fewer detractors. For Thomas Mann, the release of the Magic Mountain marked the end of a literary hibernation induced by the First World War. While the writer had initially supported the conservatism espoused by Kaiser Wilhelm II, he underwent a volte-face after the great conflagration and became the semi-official spokesperson for the Weimar Republic, appealing repeatedly to the German intelligentsia to throw its collective weight behind parliamentary democracy. When his debut novel Buddenbrooks was first published in 1901, Thomas Mann became an instant sensation. The book chronicles the slow and painful decline of a North German family of merchants over the course of four generations. Then, in his early twenties and with only a number of short stories and essays to his name, Thomas Mann set to writing in an attempt to eclipse his older brother Heinrich who enjoyed modest success as a novelist and was working on a portrayal of 19th century upper middleclass society. Egged on by brotherly rivalry, Thomas Mann produced a book that would earn him the 1929 Nobel Prize in Literature – awarded for the entire body of his work but with special mention for Buddenbrooks – and remains a beloved and much-read classic to this day. Heinrich Mann’s Im Schlaraffenland (In the Land of Cockaigne) fared less well though its author did find a small following of devoted readers. If Buddenbrooks established Thomas Mann as an author of note, and Death in Venice (1912) reaffirmed that position; The Magic Mountain dispelled any lingering doubts regarding the writer’s craftsmanship and genius. Set high in the Swiss Alps, the slow-moving yet intense story meanders through the lives of tuberculosis patients confined to the Berghof Sanatorium, nestled in the towering mountains above Davos – then also an upscale resort town catering to the well-heeled as they seek shelter from the whirlwind of human existence. Gone native, Hans revels in his new passive status in which the hubbub of life on the “flatlands” has been replaced by a fetishised routine of thermometer readings, meals, and servings of late-night hot milk duly spiked with a shot of cognac. At the sanatorium, life revolves slowly around petty rivalries, never-ending discussions, esoteric lectures, and the cautious exploration of the snow-covered Alpine surroundings. While Europe marches towards war both boldly and blindly, inextricably tied to its sorry fate, the Berghof’s inhabitants marvel at the arrival of an x-ray machine, derive intense pleasure from their gramophone player, and are thrilled by the prospect of a visit to the cinema. Time itself slows down and moves along a divergent vector. It is thus that the Magic Mountain becomes a novel of ideas, brimming with picayune details on mythological and ideological minutiae that elevates the main protagonists onto an almost surreal – or hyperreal – pane. Once properly installed, Hans Castorp falls into the orbit of long-time residents Ludovico Settembrini and Leo Naphtha who are, since time immemorial, engaged in a veritable war of words. While Thomas Mann subtly shows a preference for the former, Settembrini’s passionate humanism becomes his downfall. As Ludovico dismisses every conceivable manifestation of the metaphysical, he fails to realise that his own boundless idealism is grounded in the abstract. An intellectual titan in his own right, Leo Naphtha – Settembrini’s nemesis – displays a pronounced penchant for the extremes and can muster nothing but contempt for compromise. Essentially irrational though not without appeal, Naphtha sees death as controlling a realm of its own – independent of life and, as such, the antithesis of Settembrini’s assertion that death is merely the absence of life. Emboldened by his dualism, Leo Naphtha glorifies disease, suffering, and death. 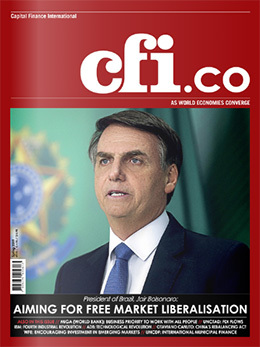 He bravely rallies to the defence of the Spanish Inquisition, Communism, and the more authoritarian orders of the Catholic Church. Gravitating first towards Settembrini, then drawn to Naphtha, before settling on seesawing between the two, Hans Castorp finds that the longer he remains non-committed, the harder it becomes to make up his mind. However, he need not bother as Mijnheer Peeperkorn arrives in all his Dionysian glory to swiftly bring the fray to an end. The Dutchman is portrayed as a non-intellectual tyrant whose mysterious, sensual, and incoherent personality soon realigns the Berghof’s patients into two camps: those who have surrendered to him, and the few poor souls who vainly try to resist the spell he casts. Intellectual argument is now reduced to an exercise in futility. However, the victory of emotion over reason is a pyrrhic one. Realising that the demands of everyday life cannot be reconciled with his total commitment to emotion, Mijnheer Peeperkorn takes a shortcut and commits suicide. A notoriously difficult read, The Magic Mountain has become much more accessible in its 1996 translation. Some ninety years later, Virginia Woolf’s lamentation on the dearth of sick-lit may still ring true, the genre has now gained considerable volume. In 1966, The Magic Mountain found a companion in Aleksandr Solzhenitsyn’s Cancer Ward which arose out of the repressed but lively grassroots literary scene of the Soviet Union to become the writer’s opus magnum. Initially distributed as samizdat in typewritten copies amongst trusted friends and literati, Cancer Ward tells the story of a group of patients undergoing crude and frightening treatments in a run-down hospital somewhere in Soviet Central Asia. Set in 1955, merely two years after the death of Joseph Stalin, Cancer Ward explores the origins and societal effects of the Great Purge of 1936-1938 when countless millions were shot or sent to wither away in labour camps. 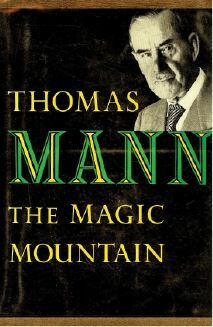 The Magic Mountain by Thomas Mann (translated by JE Woods), Vintage Classics 1996 (£10.68) – ISBN: 978-0-7493-8642-9.